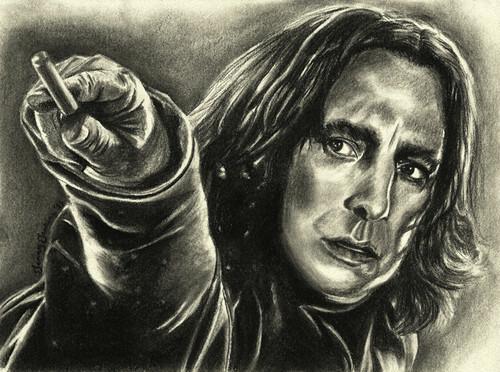 Severus Snape drawing sa pamamagitan ng Jenny Jenkins. Charcoal drawing of Severus Snape (Alan Rickman) sa pamamagitan ng Jenny Jenkins. HD Wallpaper and background images in the Harry Potter club tagged: severus snape half-blood prince slytherin wizard potions master death eater order of the phoenix deathly hallows harry potter.